Newberry is located on the western edge of Alachua County in North Central Florida, and sits in the middle of one of the most picturesque, historical and fastest growing areas in the state. Newberry today is close to the cultural attractions in Gainesville but still retains its rural nature. Alachua County’s school system is generally recognized as one of the top systems in the state and Newberry can further boast that it is one of the few places in Alachua County with true neighborhood schools. The elementary, middle and high schools are all located with one mile of downtown. 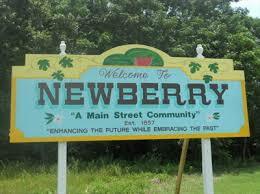 The City of Newberry celebrated its 100 year anniversary in 1995. With a population approaching 5,000 it’s the perfect blend of old and new, country and city, activity and tranquility; filled with friendly neighbors, Southern charm, and the natural beauty of the land.